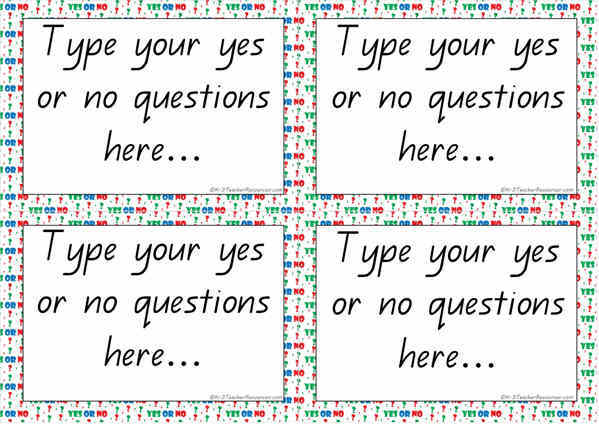 You can now make up your own Yes or No Questions using these editable cards. Just add your questions ….. via microsoft word. Use the pdf version to write questions on. Ask your kiddies to make up a set of questions – perhaps 4 questions each – then put them altogether as a class set to use in activities.